Ask Away Blog: Check Out Harrisburg Hip Hop: Tighty Whiteys & H.O.U.S.E. - Friday 11/8 in Harrisburg! 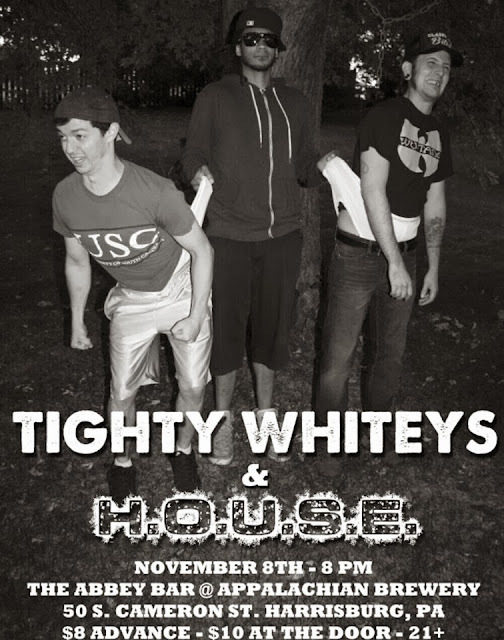 Check Out Harrisburg Hip Hop: Tighty Whiteys & H.O.U.S.E. - Friday 11/8 in Harrisburg! I haven’t posted about any local Harrisburg topics in a while… so first, I want to introduce you to some good friends of mine that you will be reading about more in the future on Ask Away. Not only are they supporters of me and my blog but they are very talented when it comes to music. First, meet Tighty Whiteys: Made up of Razzle and MF Dirt. The Tighty Whiteys are a suburban hip hop duo, that describe their own sounds as a combination of Wu-Tang Clan grit with the upbeat nature of the Beastie Boys. I absolutely LOVE the Beastie Boys and I think that’s a great comparison because that’s what I’m reminded of when I hear Tighty Whiteys. It always puts me in a better mood and makes me feel fully entertained. The thing that makes Tighty Whiteys more unique, to me, is their comical side (think Daniel Tosh). 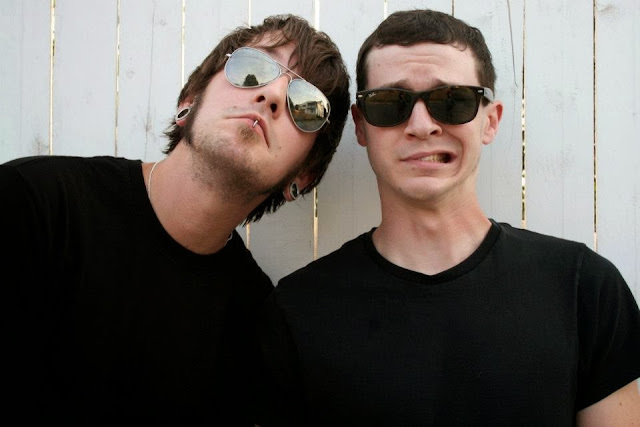 Their erratic minds produce amazing lyrics that will stick in your head. Plus the beats always make me feel like dancing! You can hear them on Soundcloud and see them on Youtube. I’d also like to introduce you to H.O.U.S.E. – aka Humanoid Of Unrivaled Sound Exploration… He is separate from Tighty Whiteys but often collaborates with them. He is lyrically talented and I am a big fan of his work. I know him as Kevin Takita, an aspiring hip hop artist (and friend of mine) from the Harrisburg area. H.O.U.S.E. was influenced by music at an early age and as a child he would perform for his family and learning to read music. And now, he's embracing his combined love of performing, music, and poetry in his everyday life. So what does his music sound like? Well, he's pretty original, just look at his name and what it stands for. But to give you an idea, he grew up on classic acts such as KRS ONE, Run DMC, Wu-Tang, Tu-Pac, Biggie, Mobb Deep, and Bust Rhymes. And when it comes to the inspiration for H.O.U.S.E. 's lyrics, it basically is all inspired by life. Whether it's literally, figuratively, philosophically, or metaphorically, it's all raw and real. 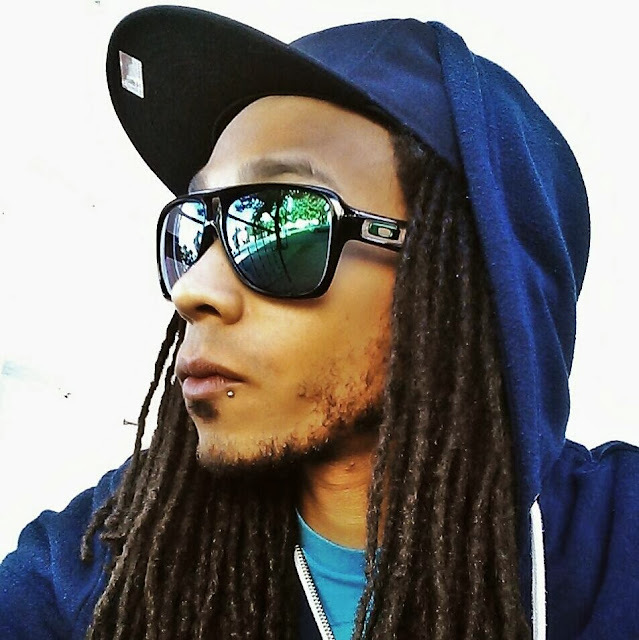 You can follow him on Facebook and hear him on Soundcloud. H.O.U.S.E. and the Tighty Whiteys have collaborated together on 2 songs (FFFB and Knowledge) from the Tighty Whiteys' first soon to be released LP. Anyways… this Friday, November 8th… Tighty Whiteys and H.O.U.S.E. are both performing at The Abbey Bar at The AppalachianBrewery in Harrisburg. It’s $10 at the door and I am telling you it will be a great time. I’m going to be there, and of course I will be blogging about it next week, but I would love if some of you would come out and join me and keep me company while I’m there. I have been too many many local musician shows over the past couple years and I am picky with what I like. What I love about my friend’s talents are that they are mature and quality not only in their sounds but in their lyrics. I can guarantee you will enjoy yourself if you go. Please come out and join me on Friday at 8:00 PM (show starts at 9) for some thirst quenching beer, mixed drinks, and great music. Also performing that night are: Blueprint, ILLOGIC, and DJ Rare Groove. This stop is part of their East Coast Tour. 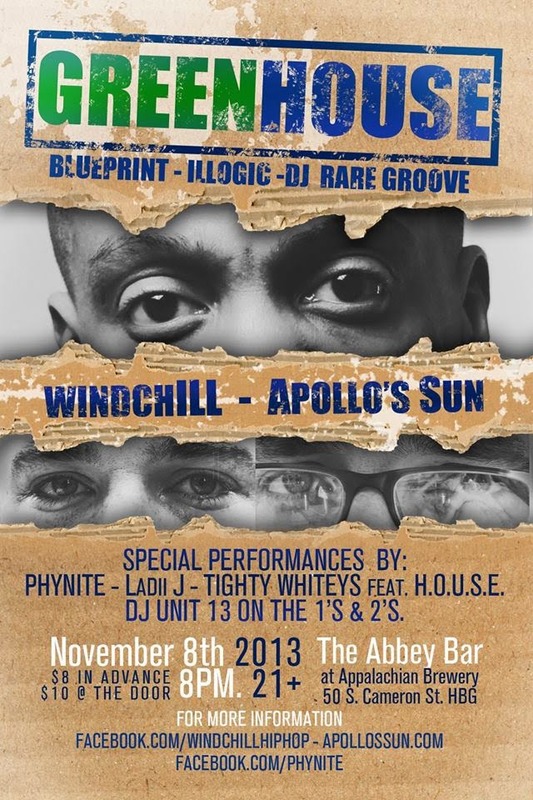 Another artist with local roots, windchILL will also be there as well as Apollo’s Sun and Phynite (both from York). And a special guest performance will be by LaDii J and DJ unit 13. I would love it if you guys could share it on your Facebook page to spread the word. I love supporting local musicians, and I can tell you first hand I see how hard my friends have worked on their music and rhymes. Some people do it for money, some people do it to pursue their passion… and Tighty Whiteys and H.O.U.S.E. make it obvious that it’s their passion.